Acted by the Queenes Maiesties Seruants, at the The Phœnix in Drury-Lane. LONDON, Printed by Nicholas Okes for Richard Collins, and are to be sold at his shop in Pauls Church-yard, at the signe of the three Kings. 1633. 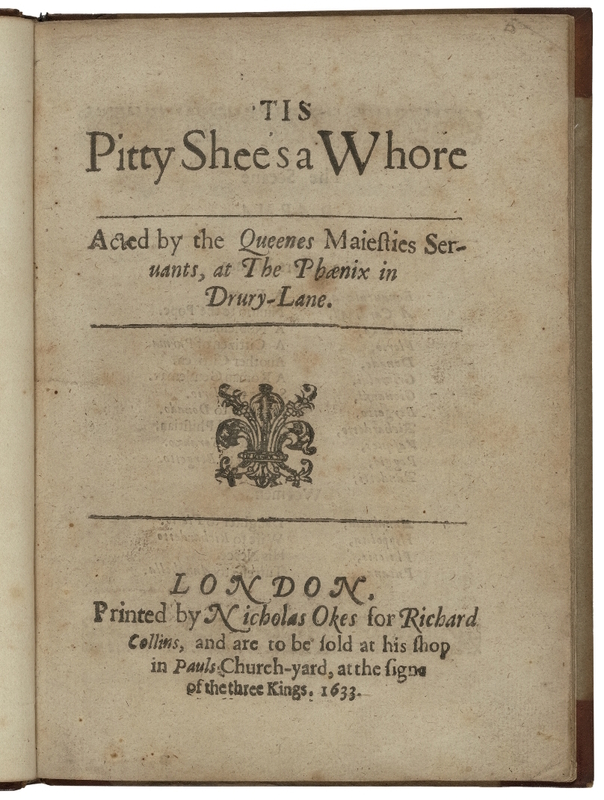 Title page imaged from Folger call number: STC 11165. Image is not from the transcribed copy.